Week 7 of our Cricut Maker Block of the Week marks the halfway point of our series! We’re making our 7th block, the Shoo Fly Quilt block! And it is another variation on my favorite – the nine patch! 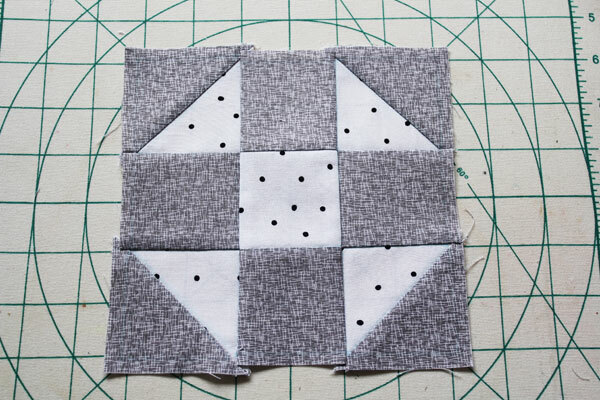 You’ll find lots of quilt blocks are variations on four-patches and nine-patches. 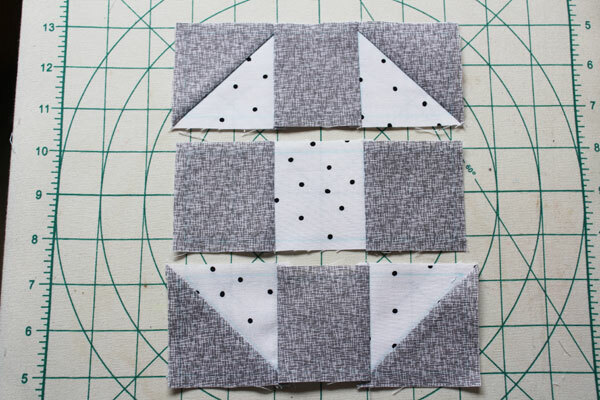 Once you visualize how to break down a quilt block into smaller units, the entire world of quilting opens up to you! 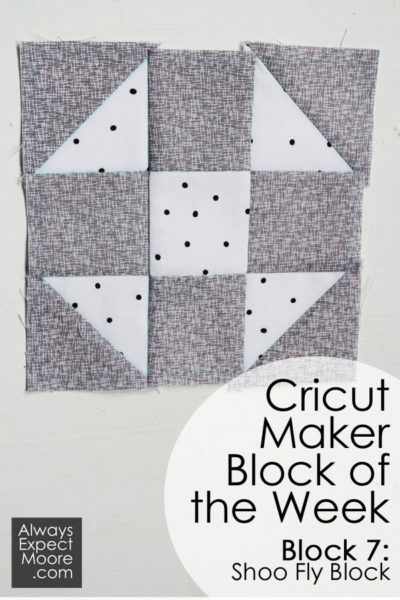 If you’re just jumping in, check out the entire Cricut Maker Block of the Week series so that you can start from week 1! This post contains affiliate links which help support this site at no additional cost to you. If you’d like to watch the step-by-step video, you can watch it here. Or follow along with the photos and written instructions below. Start by opening up the Shoo Fly Block file in Cricut Design Space, and cutting the pieces. Then lay them out to form the block. 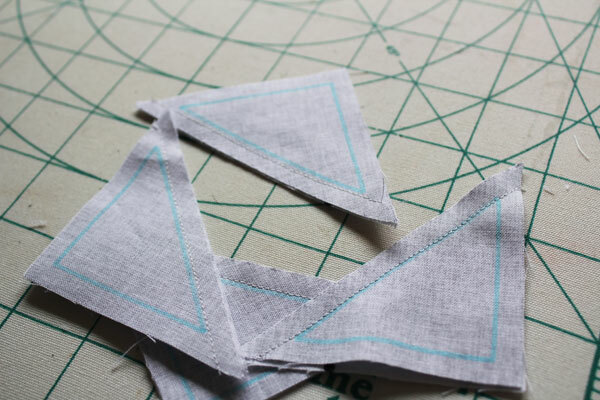 Stitch your half-square triangles, just as we have done in the past. Press the half-square-triangles towards the dark side. 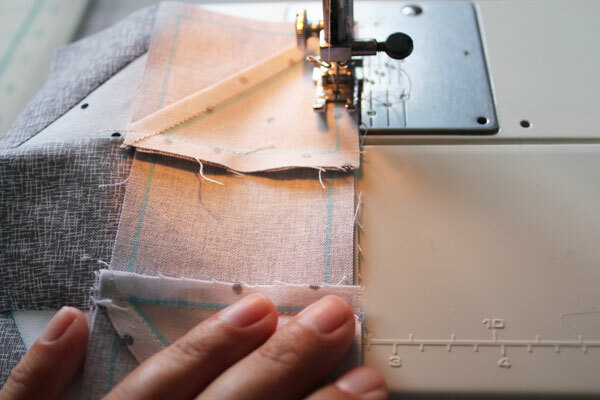 Then stitch the pieces into rows. Press the top and bottom rows in, and the center row out. In my case, this presses the pieces towards the dark. But even if your lighter color is where my greys are, you will want to press this way to reduce the bulk from the triangles. Stitch the rows together, taking care to nest the seams. 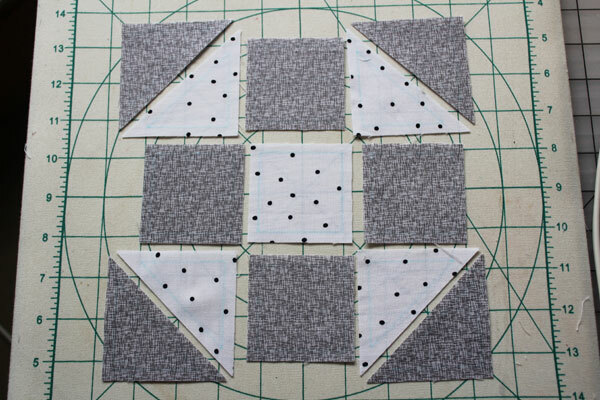 Press your final seams, and your block is complete!